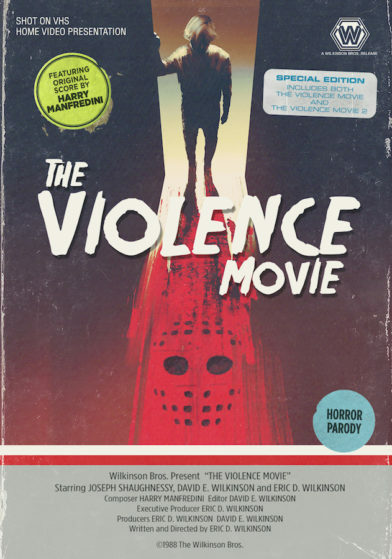 The Violence Movie is a 1988 S.O.V horror short written, special effects, shot, & directed by Eric D. Wilkinson (MVD Rewind creator, Producer of The Man from Earth, The Man from Earth: Holocene, Mischief Night, The Quiet Ones, Sparks, Subterranea, Midnight Show, & The Eyes). He also pulled the same duties for the 1990 sequel The Violence Movie 2 which is also included on here. His brother David Wilkinson (Art department for The Man from Earth & And Then Came Love) played the lead, produced, & edited the films. The estimated budget for this was $100! Yes, you read that last sentence right. This was originally a passion project by the Wilkinson brothers just to make a fun horror parody on VHS for friends & family to enjoy. They put their money together & rented a VHS video camera from Erol’s for 24 hours. They filmed it after working at their 9 to 5 jobs that earned money to finance this little underground production. It was edited on Sony Betamax. 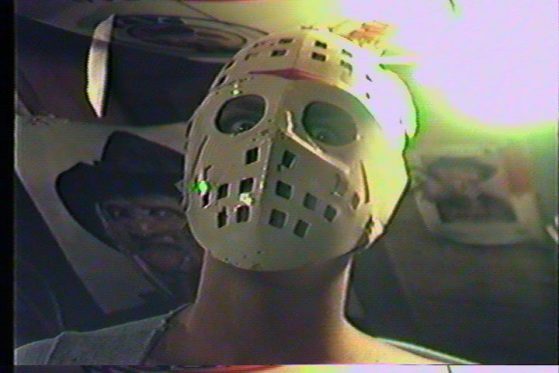 The original music was from Eric’s own personal record collection & he used the Friday the 13th soundtrack to add to the atmosphere. They thought they lost the original tapes & material until they were rediscovered in 2003. The Wilkinson brothers decided to go back their roots & shoot some additional footage to complete the project after all these years. Sundance Now executive George Schmalz wanted to add the film to his subscription streaming service. They reached out to the composer Harry Manfredini (Friday the 13th series, House franchise, Swamp Thing, Wishmaster, Slaughter High, & DeepStar Six) that they originally “borrowed” his music from to use in their production to create a brand new score for this re-release that would finally be seen by the public. It premiered at the New Jersey Horrorcon & Film Festival!!!! A psychotic killer (played by: David E. Wilkinson) escapes from prison & he out for blood! The warnings of the lunatic on the loose plays on the radio. The murderer ends up invading the first home he comes across. The unexpected Joey Hammond (played by: Joseph Shaugnessy) is having some bad lucky because he ended up living at this random house picked by the real life monster. He’s looking to test his old brutal skills after being trapped inside. Joey has to do everything to survive & get away from this professional death dealer that’s been dreaming of taking lives again! His best friend (played by: Eric D. Wilkinson) shows up & the battle takes a completely different turn. Can these two take out this unstoppable killing machine before he causes more chaos? Joey Hammond (played by: Joseph Shaugnessy) is having nightmares from the traumatizing event that changed his life forever. A news anchor (played by: Eric D. Wilkinson) that looks exactly like his best friend reports that the same psychotic killer (played by: David E. Wilkinson) has escaped again! At first, Joey doesn’t know what’s real anymore. Is this a dream? or Is it reality? This time the victim is ready for the deadly intruder. Can he survive death twice? or Has his luck ran out? The slasher is determined to end this battle with his rival. No one can live to tell the stories of this demented madman looking for his own legacy in horror!!!! Have you ever wanted to make your own film with some friends after being inspired by some horror classics? It would probably end up something like this. This was made with no money & on limited time at home. It pays homage to many slashers from before especially A Nightmare on Elm Street & Friday the 13th. I liked how the killer changed up masks in the first film. I also enjoyed all the cool movie posters in the background during some scenes. You can tell this was done for the love of the genre & just for fun between a group of people. How many fans can say the legendary composer Harry Manfredini created a brand new score for their horror short? No one except except for the Wilkinson brothers. In the first film, you can tell they were still learning & testing out the waters on many things. I thought a few things were unintentionally hilarious like director Eric D. Wilkinson can be seen in the background filming in many shots plus other people, the killer wearing a Wilkinson shirt, Joey’s car is already there before he actually arrives, & the fight scenes with the awesome sound effects! It all just added to the retro feel of this production. I thought Part 2 was much better & everyone seemed more prepared for this follow up. I thought it was cool that the killer represented Jason Voorhees, Michael Myers, & Leatherface in this. You can see the influence with the mask, outfit, & his choice of weapon. This sequel also had much more action in it compared to the original. You can tell everyone had fun making this & put whatever they could into the project. Shot on Video was pretty big at the time so a decent amount of films were getting distribution based off their artwork, concept, & just to fill the shelf at the local rental store. It was a great time to be a independent & low budget film maker. Harry Manfredini’s score was the true highlight from both of these films. It was good to hear somewhat newer music from the legendary composer which is sad to say rare these days atleast when it comes stuff getting a proper release that he worked on. Thanks to MVD Entertainment you are able to relive some of your earlier childhood memories as a horror fan with this entertaining tribute to the genre in the 80s. Let’s talk about the presentation & special features on this release. 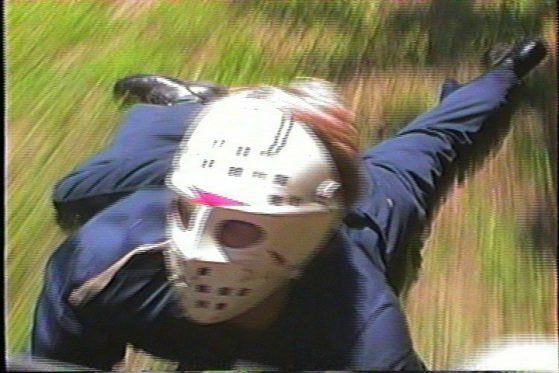 The (1:33:1) transfers are slightly better than you would expect for something made for $100 & being shot on video in the late 80s. 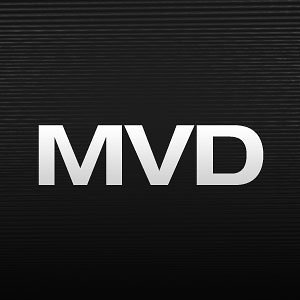 If you are into S.O.V stuff then you know what to expect with these. Which actually adds to the atmosphere & it works with it’s already retro vibe. The 2.0 stereo track is pretty impressive considering it’s age & budget restraints. The music of Harry Manfredini sounds good on it & that definitely elevates everything. Let’s discuss the extras on this provided by MVD Entertainment. Audio commentary from the Wilkinson brothers with Michael Kahn for both films. For the original, it’s a MST3K style track. They joke about themselves & point out the many mistakes in the film. They admit to still learning everything at the time so some goofs just slipped by without any notice. They also discuss how it was made & tell some stories about the production. It’s a very fun commentary & it has a nice flow to it. For the sequel commentary, they talk about padding & extending material to make it feel more complete. They bring up other goofs that made it past final cut & problems they had during the film. They point out the new scenes they added to this. They joke about Joey upgrading his car from the last one. They mention that this follow up has much more action compared to the original. Michael gets called out for being too silent on here. Eric still seems disappointed with how the 2nd half in this turned out. This was a entertaining track & it’s definitely worth checking out. “Deleted Scenes & Outtakes” from both films. It’s a little bit over 13 minutes between the two segments. 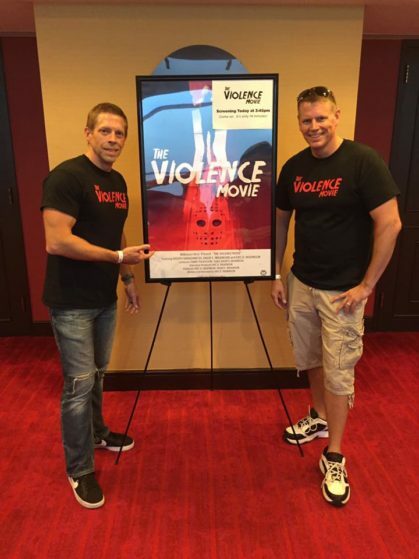 “Violence in 03” features the the Wilkinson brothers re-visiting the scene of the crime for re-shoots 15 years later from the original production. It’s almost 6 minutes of the brothers putting together new material for the films. They joke around & have fun recreating their childhood in this. “The Scrapped Violence Movie” which also comes with an optional audio commentary with the same 3 as before. 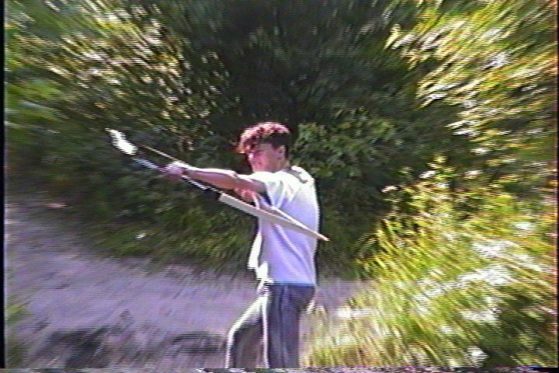 It’s a little over 9 minutes of footage from an unreleased project that never went anywhere. They actually had a girl in this one. On the audio track for this short, they pretty much make fun of it the whole time. Eric said this Violence Movie went into a completely different direction & when he tried editing it he just wasn’t feeling it. He says he still thinks it’s hilarious. “The Original Opening Credit Sequences” for both films. You also get promotional materials like the Trailer & a 45 seconds Photo Gallery. It comes with reversible artwork for the sequel. This comes recommended for S.O.V fans, Horror tributes, & admirers of projects that turn something into nothing with some hard work. Both films are short so it’s a easy release to get through. You can re-watch them many times with no hassle. It’s awesome to see something like this get a great release from MVD Entertainment!